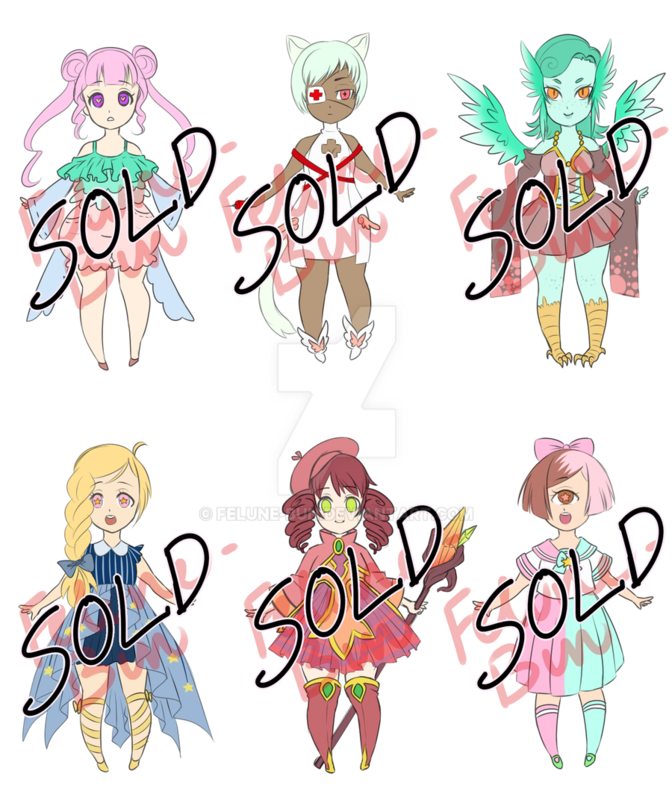 Buyer gets the unwatermarked hi-res version of the adopt(s) bought. -Comment here or send me a note before you pay!! - If you buy one, the character design will be yours. Credit would be nice, though. You can change the design as much as you want. 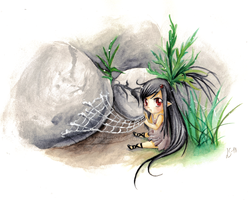 - Do not claim the drawing your own! - FIRST COME FIRST SERVE. - If you pay with paypal, pay the fee too. Hi! Do you think I can get #2? 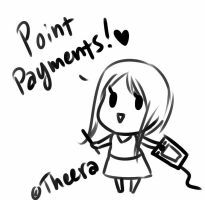 She is ^^ Points or paypal? Sure :3 The other one too? May I buy #1 with points? Botoom? :3 so two characters? I don't know what botoom means :'3 Which number is it?